On 21 November, eight fighter jets of the Indian Air Force (IAF) touched down on the Agra-Lucknow expressway, marking the inauguration of the nation's longest highway in Uttar Pradesh. The 302 km-long Agra-Lucknow Expressway at Unnao, around 50km from Lucknow, will be formally inaugurated by Chief Minister Akhilesh Yadav and Samajwadi Party chief Mulayam Singh Yadav. The expressway, which was completed within 23 months, is expected to reduce travel time between Delhi Lucknow, bringing it down to five hours. 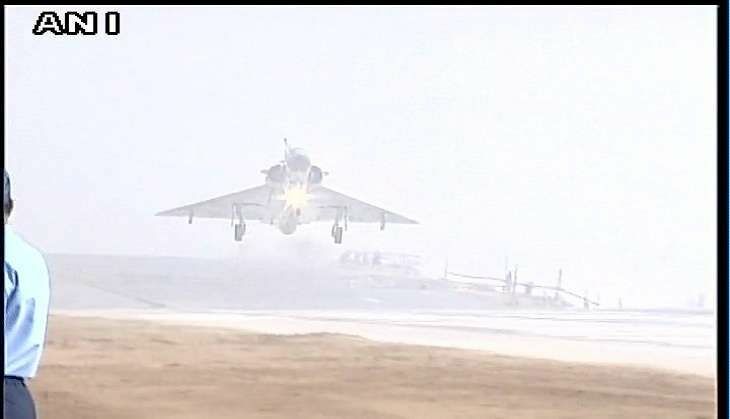 In a first for any road launch, four Sukhoi jets were flown in from Bareilly while four Mirage 2000s were brought in from Gwalior to skim the six-lane highway in simulated landings, reported NDTV. The state government has also reportedly hired an eight-camera set-up to shoot the event, ahead of the impending Uttar Pradesh assembly elections.